Time to Make a Top Final Fantasy List! Today I was thinking what should I talk about. Thursdays are always for gaming and to be honest I was in trouble, nothing was coming out. This way I went to all posts I’ve written about gaming and came across my Final Fantasy series. The thing is, I’ve reviewed all Final Fantasy games I played so far, but never really told you which ones are my favorites. This way, I decided to make a top list today ranking all the Final Fantasy games. Ok, this is the one I never wrote a review about it and with a good reason. I never finished this game. In fact, I never played it even towards the middle of it. For me, this is the worst Final Fantasy in history. The story conduction – The game is basically, fight, run 20 steps, small cutscene, fight, run another 20 steps, small cutscene. I never saw such a linear RPG in my life. You can’t even talk with NPCs when inside a city. Something that I love about RPGs is exploration, and FF XIII has nothing. I know that after you play for a great while you end up on a map where you can explore a lot. But, I just lost all interest before getting there. Characters – Can I be honest? With all the characters FF 13 presents, there are only 2 characters that I sort of feel some kind of interest. Snow and Light. However, that’s way too low if you think in all the characters you have and play. The combination of these two just made me drop the game and go play better things. Nevertheless, I won’t be doing a full review until I played the game fully. We never know if the game will be able to change my mind by the end of it, right? Yes, it’s an old one. 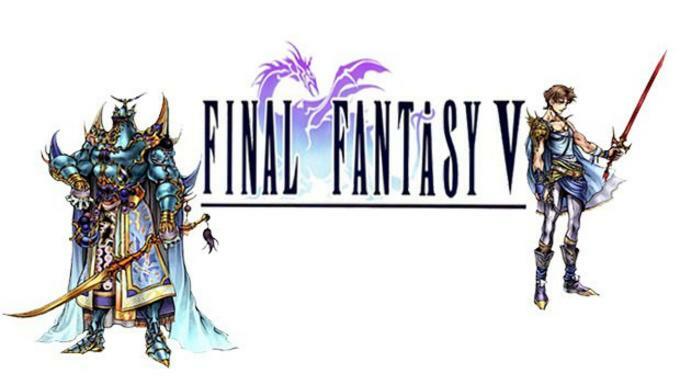 It’s possible that Final Fantasy V was great when it came out. But, when I played it I was not really impressed. The fact that I can’t remember most of the game should be an indicator that the game is just… Forgettable. I mean, you only play with 4 characters and I can clearly remember the story of one – Faris. Faris, by far was the highlight of this game. The first character I have ever seen in gaming which crossdresses and tries to pass as a man instead of a woman. Something like Mulan. Her story is by far the most interesting in the game. Although being ranked so low the game ends up being enjoyable nonetheless. I might not remember much o the story, but I loved the gameplay. Playing with 22 different job classes to pick was awesome. 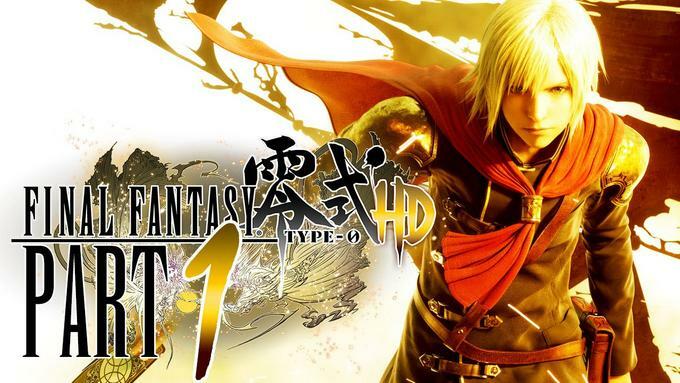 A more recent one, Final Fantasy Type:0 was launched to PSP. However, I played it its HD version to PS4. Since it’s for PSP I understand that the game goes for a more mission centered gameplay. That’s not the problem with it. The problem is the story which is way too confusing to understand. I still have to finish the game, but I’m more or less in the middle of it. I understand that there is a war happening, but I don’t really understand why. Nevertheless, the game is pretty fun to play. It’s a good action RPG with 13 different characters/types of fighting to choose from. Basically, being the type of fight you prefer, you will have the character for that. 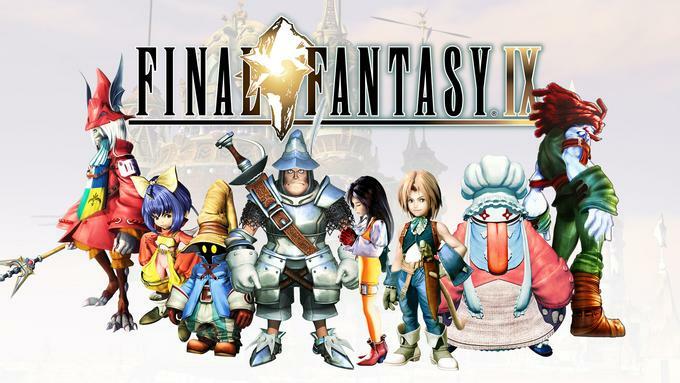 I have mixed feelings towards Final Fantasy IX. 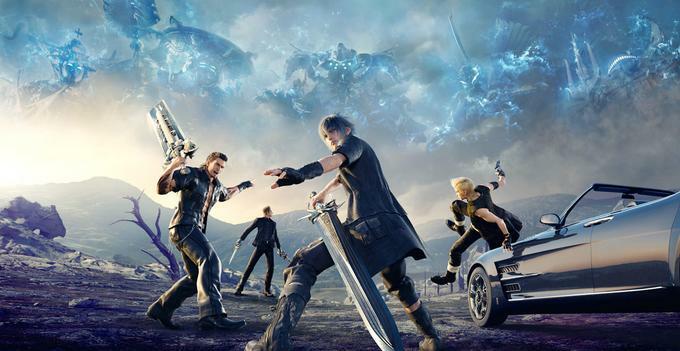 There are days that I think I like the game, others that I think it’s the worst Final Fantasy ever coming to life. The main reason I didn’t like about FF 9 is the setting. We go for a more “childish” and fantasy background when compared to the previous ones. It’s not something that is bad, but it’s something I don’t like myself. When it comes to characters the only I can say I like is Vivi. The rest are just too annoying. I know that they end up having some sort of evolution, but from the bat, Zidane, Steiner, and Dagger are all sort of annoying. However, those damn graphics! I remember being completely blown away when I played it for the first time on my PlayStation One. I know the game is not bad, but for my taste, is one of the weakest links. 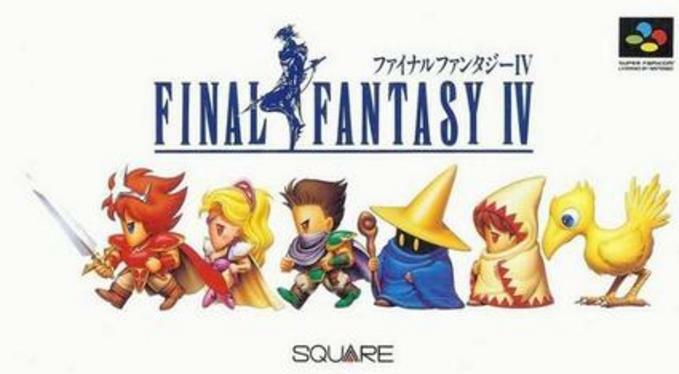 Final Fantasy IV is the oldest installment I’ve ever played. From what I know it’s the first time they designated specialized classes for each class. This brings a little more thinking when it comes to strategy. Meaning, if you are with a party with only fighters, then you have to make sure that you have those potions to heal yourself. I think the problem with Crisis Core is that I was expecting too much from this one. As you already know by now, Final Fantasy 7 is my favorite game of all time. This way, I had way too much hyper when entering into this. The game is a dungeon crawling (as most of the games during that time) which is not my favorite set up. Nevertheless, I think the main problem with it is that the dungeons are always the same (when it comes to side quests). They just developer 4-5 dungeon types and all the sides quests are done in those. Gameplay wise was also not my favorite. It’s a mix of action based and turn-based. For me, it just didn’t work. Nevertheless, I just can’t say no to a game that shows a little more about FF 7’s story, can I? If FF13 has the problem of being too straightforward, then Final Fantasy XV has the problem of not being straightforward at all! I think the main problem with FF 15 was that they wanted to go with a set-up neat to Skyrim. A really big world map with a ton of things to do. However, they failed. The side quests are repetitive and not interesting. There is not even 1 side quest that I felt it had a nice plot attached to it. When it comes to the main story… Should I say the problem is the lack of the main story? I mean, the story is way too short. In fact, all the gameplay hours you are going to put in the game are side quest related, exploration or just driving the car. I mean, when one of the main quests is to get to a certain level so you can continue the main story, you know something is wrong. This is when the list starts to be more difficult to do. We are starting to get into the ones that are really close to each other when it comes to my taste. For me, Final Fantasy X-2 had one of the funniest turn-based gameplay in all Final Fantasy franchise. Being able to change classes during battle is really a fun way to play. In fact, you NEED to be changing classes if you want to beat the game. Moreover, all of the classes’ wardrobes look awesome in our 3 girls featuring FF 10-2! However, exploration and story-wise, Final Fantasy X-2 is not the strongest. 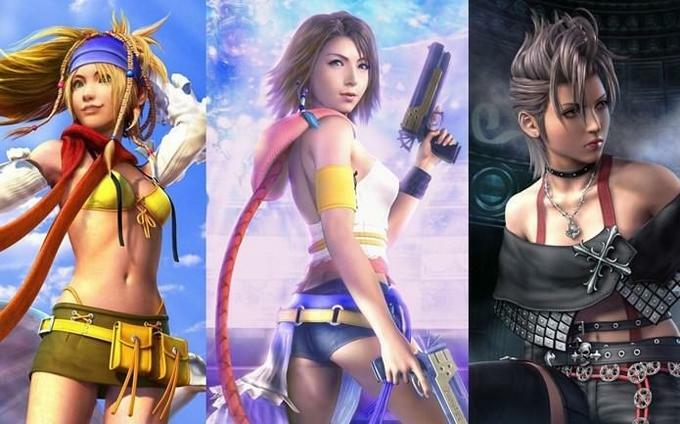 It clearly shows a Square Enix wanting to milk more money from the awesome Final Fantasy X. Moreover, I’m not really into changing the end of FF X which was beautiful. But, overall it is a solid and fun game to play. 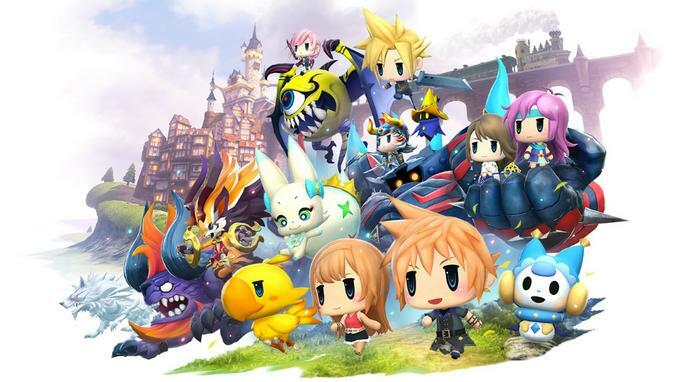 Put together a huge amount of FF characters’ cameos in chibi form inside a game and I’m there! To be honest, the story is more childish and not that serious. It’s a little straightforward and most of the time cliché. The only Final Fantasy tactics I was able to play until the end. Everything in this game works out! The side quests may become a little repetitive with time (especially if you are a completionist like me) but the joy the game brings greatly bypasses that. The story is great, the battle and class system are also great and there are many things to find in this game. There are characters you may miss if you don’t do all the side quests, portions of side story which are a delight to experience and so on. This is, without a doubt, my favorite game for Gameboy Advance. Here we go, top 5 now and things start to get more difficult to pick! 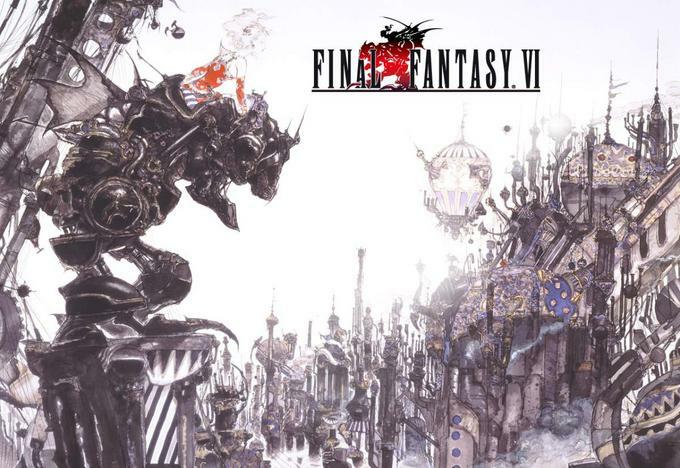 I loved playing Final Fantasy VI, even if I played years after it came out. There are way too many good parts of this game to just miss this one out. The story is great. In fact, Final Fantasy VI still has a story that stands out by its uniqueness. Another thing that made me love about this game is the possibility to choose which part of the story to play first when the party separates to get different objectives. Yes, it’s true that it doesn’t change anything in the main plot, but clearly is something that was never done in any Final Fantasy installment before (That I know of). Character-wise it was also well thought. It’s true that you have a lot of missable characters and that some of them do not give much to the story itself. But, the ones that are considered the main ones are great with a lot of development throughout the story. Final Fantasy VIII has a deep place in my heart. I know, the game has plot holes. I also know that it’s too grind heavy. But, by the end of it, I still love it. The reasons are simple. 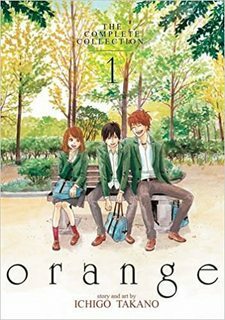 Story and characters. 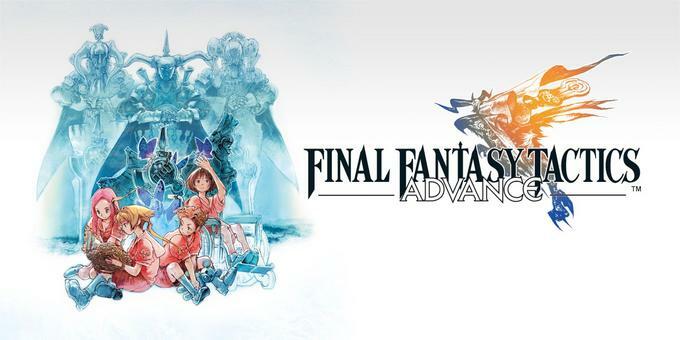 This is probably the only Final Fantasy which made me fall in love with all the characters they represent. It also portrays my favorite villain from all time. I’ve talked about this one before in my TOP 10 favorite games from all time. The thing with Final Fantasy XII is the environment and gameplay. Not gonna lie, I want to live in the Eruyt village! I mean, it has to have the OST going on and on, day and night. All of the maps are great and done to the detail. 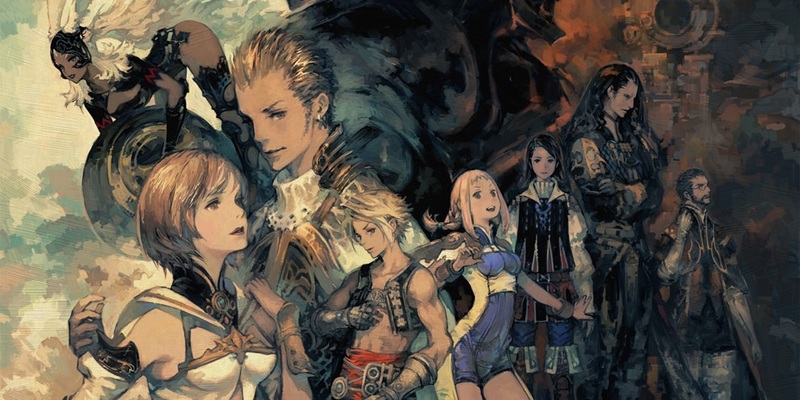 I never have felt so emerged inside a world as I did with Final Fantasy XII. To add to this, you have so many different maps that you feel that you are traveling the world without getting out of the house. Desert, Forest, Beach, you name it and they have it! The gameplay, well we all know what this is about. Final Fantasy XII was the first step to make Final Fantasy more of an action based and not turn-based. To be honest, from all the Final Fantasy games, this one has my favorite gameplay. Not entirely action, but also not entirely turn-based! And, come one! The monsters eat each other in the middle of the game! Do you know how mind-blowing that was when the game came out? The story! That’s it! That’s all this game needs to put in number 2. The romance between Yuna and Tidus is just beautiful. The World Construction is pretty dope and they give you enough information to make you understand well the society they live in. Does the game have problems? Yes! Leveling up in this game is just a pain in the arse since you need to change all the characters for them to get experience which makes each fight to take a long time. The voice acting is also terrible. Nevertheless, that story and character construction… For me, it’s the best one I’ve ever experienced in a game. To be honest, no other game made me cry so much by the end of it. Let’s not forget, of course, the graphics mind-blown it was for that time. You already know it! To be honest, if I put all my emotions to the side, probably Final Fantasy VII would not be the one I considered as the best game ever made. However, how can I do that? 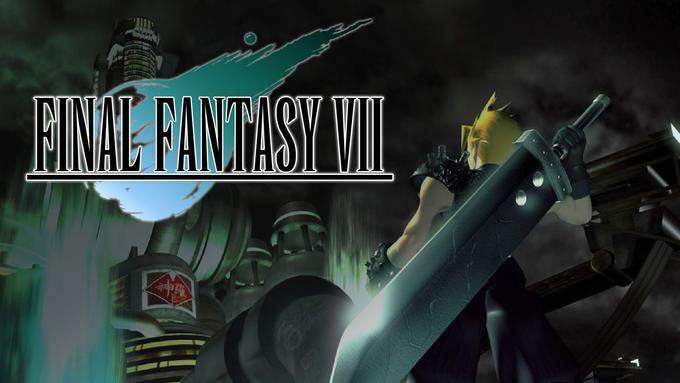 Final Fantasy VII was the first RPG I’ve ever played and the one who made me fall in love with the genre. The first time I passed it I didn’t even know how to speak/read English. In fact, I learned a lot of English because of Final Fantasy VII to be able to understand the story and what to do. I was like 8 at the time. Many hours were spent with this game. I fell in love with all characters (except Caith Sith) and the story. Especially Tifa. Until today, she is one of my favorite female characters from all time! So, yeah, I know, maybe not the most accurate way to put a game on the top, but no other game brings me back so many memories as Final Fantasy VII. And… It’s finally done! Damn, from not knowing what to write about, to write a 2500 words post is a lot! Oo What about you? Do you agree with my list? What is your favorite Final Fantasy of all time? Tell me all in the comments! 😀 Now, I’ll just go and replay FF VIII, ok? Glad to see final fantasy X so far up the list. It was my first final fantasy and I have this theory that whichever one you play first (provided you enjoy the experience) will always be one you hold as special no matter what you play after that. Yeah, I’m totally with you! That’s why I say if FF8 was the first FF I ever played it would be number one! I think most of the Final Fantasy installments are one of those life-changing games. So, the first you play will have the biggest impact. FFX is my favourite by far. I’ve played it multiple times, and am considering a no sphere-grid run at some point. 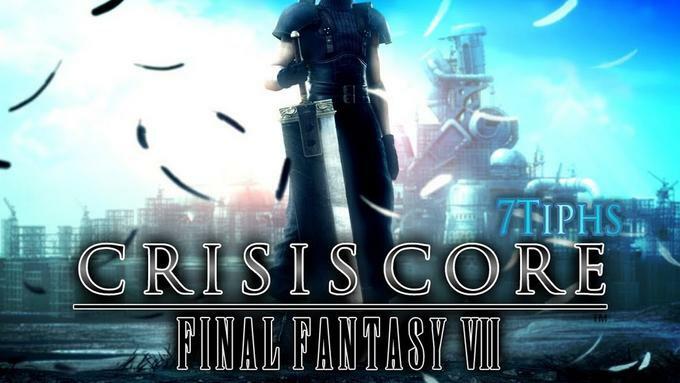 Also loved FF7, and FF7 Crisis Core. Yeah, I remember the critics not being that good. However, I think it’s because it was the start of changing the gameplay that created that. If you played the first iteration of FFXIV…you wouldn’t be saying such positives things. There’s a reason why it’s called a realm reborn. For me, it’s hard to say which one is the best since they each have their own good points and bad points. I’ll always love FFVII because it’s my first though, and it will take a lot for a FF game to top X-2’s battle system. But I was surprised in your list that IX and IV were so low. IX has some great characters, and IV can really test your skills in some of the versions. I also am not a big XII fan, so that would be toward the bottom in my list. I know IZJS helps, but it is too slow for me, at least two main characters are pretty pointless in the story, and the Mist Knack (which I am blanking on the English name) is not very fun. But, regarding FF9 I didn’t really get into the characters that much. Besides Vivi, I couldn’t care less what happened to everyone. But, well, it has its own magic and it’s a good game overall. I understand what you are saying about FF12. To be honest, for me FF XII was so fun to play that I really didn't care about the slow part of it xD The English name is Mist Knack I think (?) Yeah, it's not the best feature of the game, that's true 😛 IZJS helps since you are able to have 2x and 4x speed which makes the grinding way faster. However, when it comes to skill boards, I prefer the original one versus the IZJS. Mist Knack’s name was bothering me, so I had to look it up: Quickening. I guess it comes from the fact that players have to be quick about entering buttons, but it would make more sense to have Mist in its name still. It is the original Japanese name. Maybe it’s used in other versions or people just forgot to update guides or whatever. But it probably sticks out because it makes more sense than Quickening! 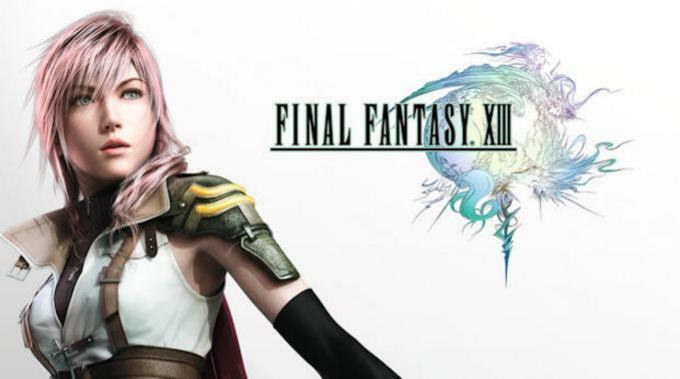 FFXIII is a lot better than people give it credit for, particularly if you play it to the end. You’ll find a lot of your complaints are addressed. Its two sequels are also very cool — at some point I intend on giving the mini-series a complete rundown on my site, but I need to replay them all first, which is a significant undertaking! Also you’re a little off with FFIV — Job classes have actually been in the series since the very first installment! When you start Final Fantasy I, you pick a Job for each character, then later in the game you get to upgrade them to a more powerful version. Final Fantasy II lacked Jobs altogether, instead having an interesting but flawed “use the stat to improve it” system, though you could effectively “create” jobs in this way by specialising characters. And Final Fantasy III introduced an early version of the Job system that would later be seen in FFV and FF Tactics — i.e. one where you could switch your characters’ classes to suit the situation. Oh, that would be cool! 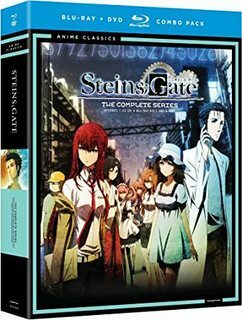 If the mini-series does not have major spoilers I would love to read them eheh I completely agree with you, that’s why I still didn’t do a review about it, I want to play it until the end and comprehend it to the maximum before giving my ultimate opinion on it. Nevertheless, being the only FF game that I ended up on dropping because I was bored it had to be in the last place.